Playing basketball at 10 feet is impossible for many small children and toddlers. This portable basketball system is designed for smaller children who are just beginning to enjoy the game, improve their coordination, and learn the basic rules of basketball. This basketball system includes fun graphics attractive to children and accommodates 7 inch mini basketballs allowing your child to have fun with family and friends for hours on end-getting better at basketball each step of the way. 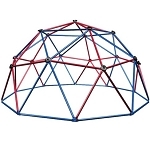 Great for indoor and outdoor use many people will store it in the garage and simply take it outside when it's time to play. That will prolong the life of the basketball goal. Other families will put this in a bedroom, in the garage, or even in the backyard on the grass. Wherever you decide to put it get ready to play basketball and improve your skills from an early age. 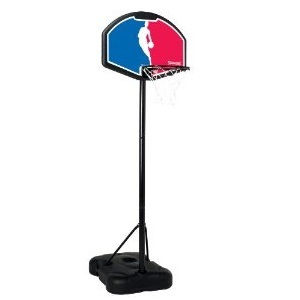 Assist your youngsters to discover to shoot the ball appropriately with correct form at a youthful age with this Spalding hoop. Q: Is it possible to purchase just the backboard for a replacement? Q: How difficult is this to assemble? A: It is not difficult. Of all the portable basketball systems this one is the easiest since it has the least amount of parts. You should be up and running in less than one hour. Most models take about 3 hours. A: Can I get just the back board 651? Q: Do you sell backboard only? A: For a replacement backboard for the youth portable system please call 800-558-5234. Q: How do I get replacement pieces for the goal? A: For replacement parts please call 800-558-5234. Fast Shipping: Orders for the 58651 Youth Toddler Portable Basketball Goal generally leave the warehouse the next business day. Dimensions: 32" x 14" x 2"